In a couple of weeks we are getting a follow up to one of the earlier comic-book films. That’s right, we are getting a sequel to M. Night Shyamalan’s Unbreakable. We’ve put together a little DIY to celebrate the release of Glass. Not only that, we have a great giveaway to go with it. However, first things first. In Glass, “M. Night Shyamalan brings together the narratives of two of his standout originals—2000’s Unbreakable, from Touchstone, and 2016’s Split, from Universal—in one explosive, all-new comic-book thriller. Clearly (no pun intended), this DIY was inspired by the name of the film as well as the theme of Unbreakable. The fun thing about this edible glass is not only does it look great on cakes and cupcakes, it can also be flavored and colored! The opportunities are endless! We’ve had entirely too much fun playing with this edible glass recipe, but that’s not all the fun we have planned! We are giving away 3 pairs of VIP screening tickets for a sneak preview of Glass. The screening will be on Tuesday, January 15th at 7 pm at Harkins Tempe Marketplace. Winners should arrive at 6:15 in order to guarantee their seating. Winners will be selected on Sunday, January 13th. Good luck! 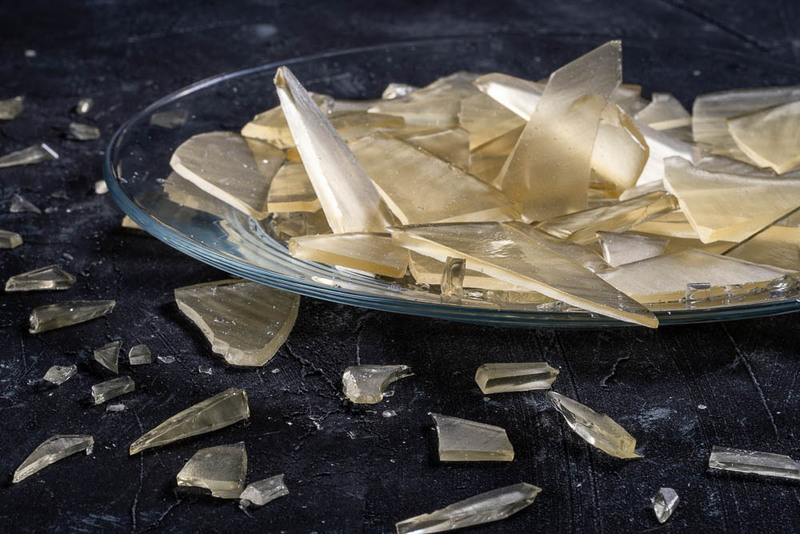 In anticipation for the movie Glass, The Geeks are sharing an easy recipe for DIY edible glass. Combine sugar, corn syrup, and water in a saucepan. Once combined, insert the candy thermometer and bring to a boil. Once the temperature reaches 300 degrees, remove from heat and immediately pour mixture into a baking sheet lined with wax paper. Allow the mixture to harden for a couple of hours. 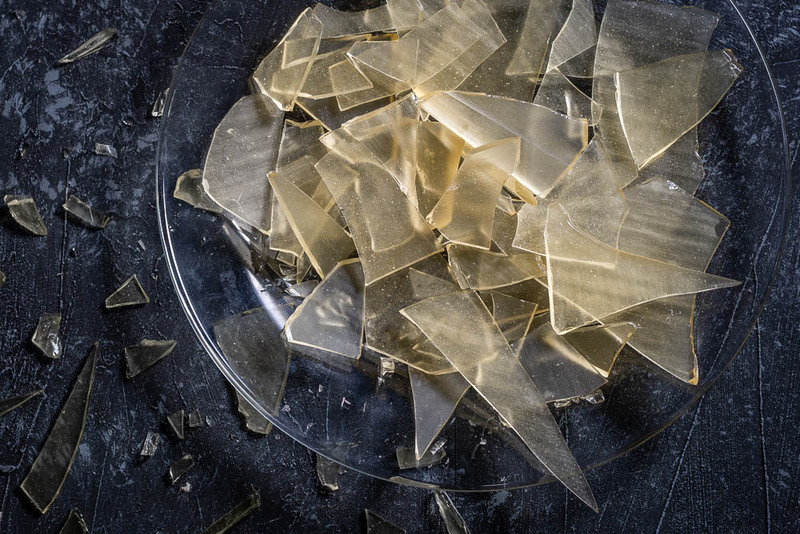 Once hardened, lift the wax paper up and drop it down to crack the glass. Repeat until fragments are at a desired size. This is so awesome and creative! This is super creative! I cannot wait to see this movie. I made edible glass for a birthday cake a few years ago – my daughter wanted a Frozen themed cake, so I made blue ice colored glass. It is not as scary or difficult as I thought it would be. Your directions make it so easy, too!